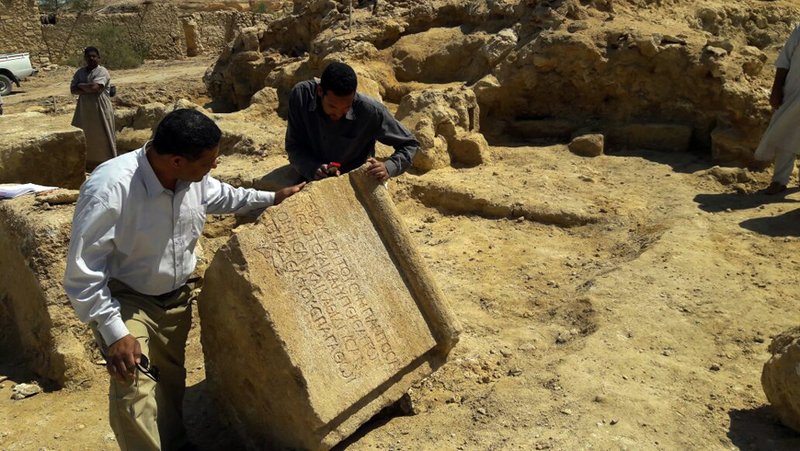 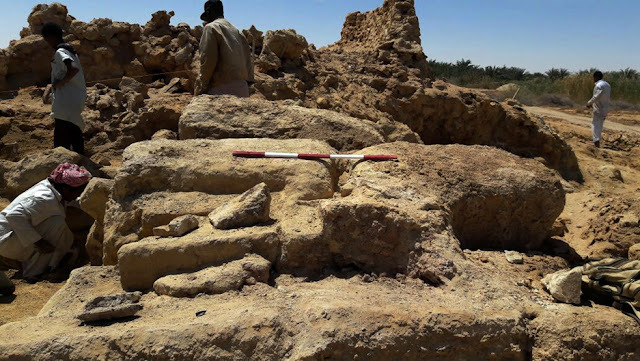 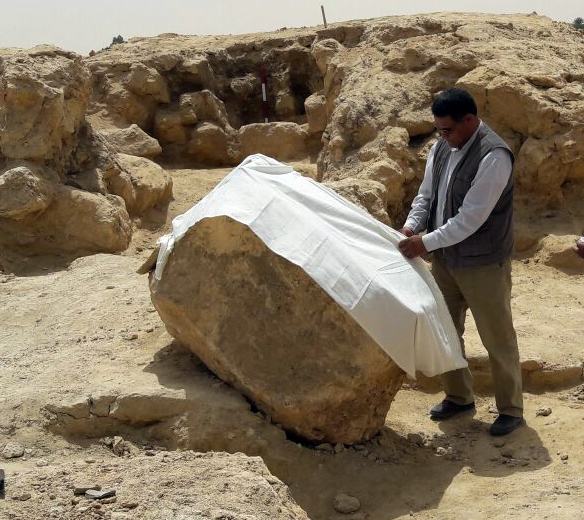 Dr. Aiman Ashmawi, head of the Egyptian Antiquities department, said “The discovered temple of huge limestone foundations in rectangular shape measured 40 meters from north to south and 8.5 meters from east to west. The entrance is in the northern side with small two rooms on each side. 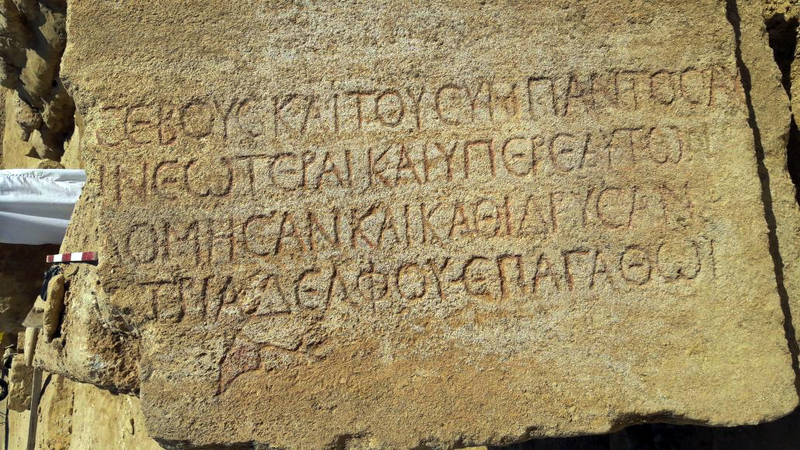 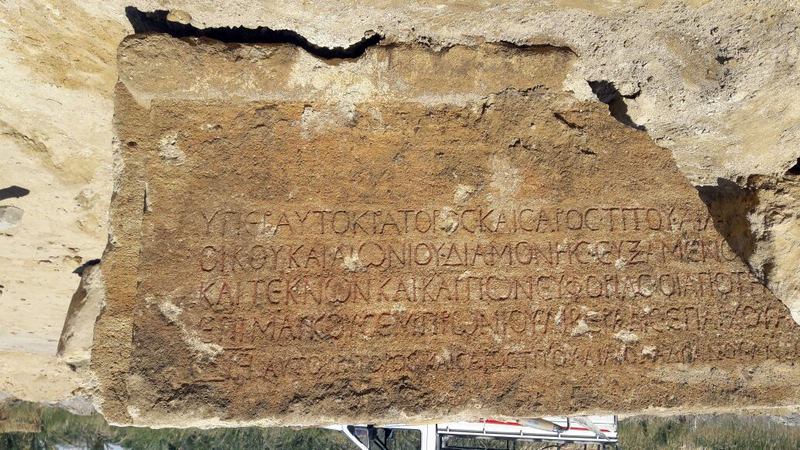 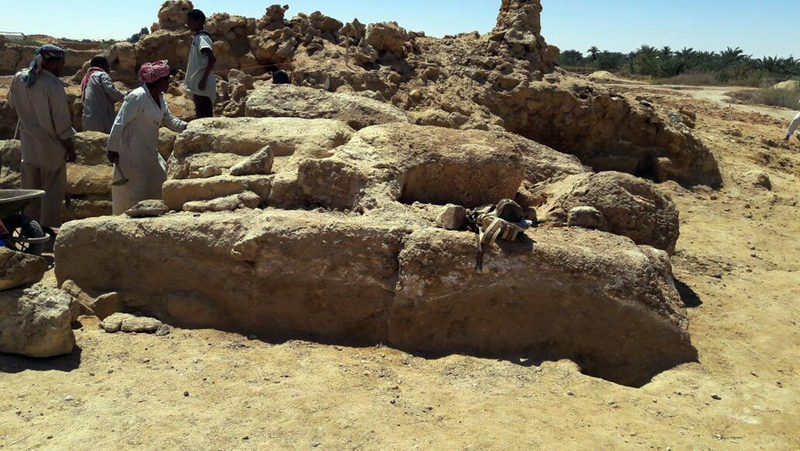 Abd El-Aziz Demiry, General Director of Matrouh and Siwa Antiquities, said “One of the most important discovered parts is a limestone block with inscriptions in Greek topped with a ledge shows the sun disc surrounded with cobras. 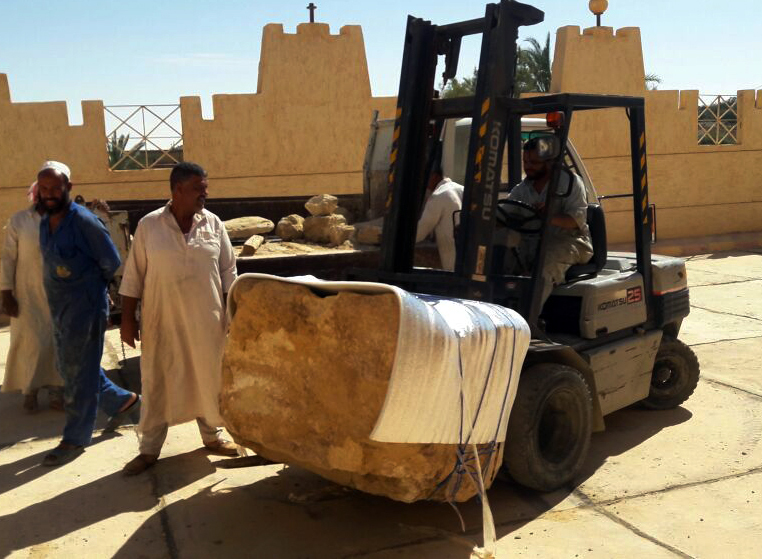 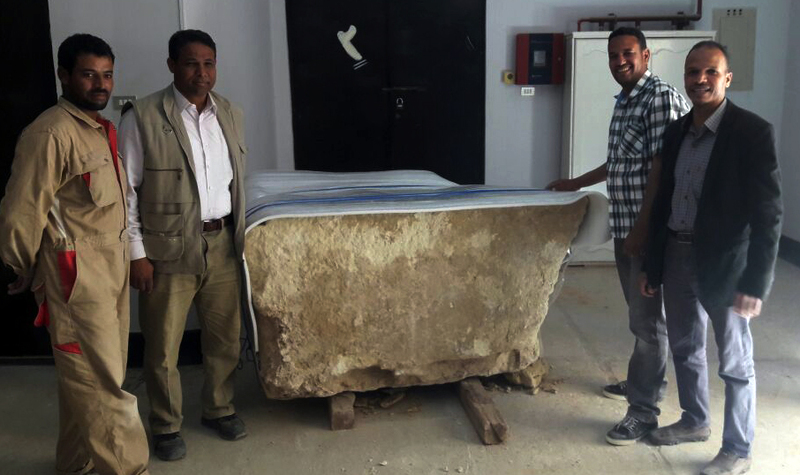 Mr. Demiry also added that the block is in good condition and it was transferred to the storeroom in Siwa to conduct the necessary preservation needed.